Sophie Maron 12x24 Matte Porcelain. SOLD BY BOX OF 6 TILES = 12 SQ FT.
Sophie Maron 12 in. x 24 in. Porcelain Tile features soft beiges and tonal veins inspired by nature. Whether used on its own or incorporated into an artistic tile design, this lovely matte porcelain tile brings warmth and style to any space. Prized for its durability and design versatility, it’s ideal for creating beautiful floors and backsplashes and equally stunning as wall or countertop tile. Appropriate for both residential and light commercial environments, this rectangular tile is matchless. Tile accessories are available to give your project a finished, professional look. I love the style. 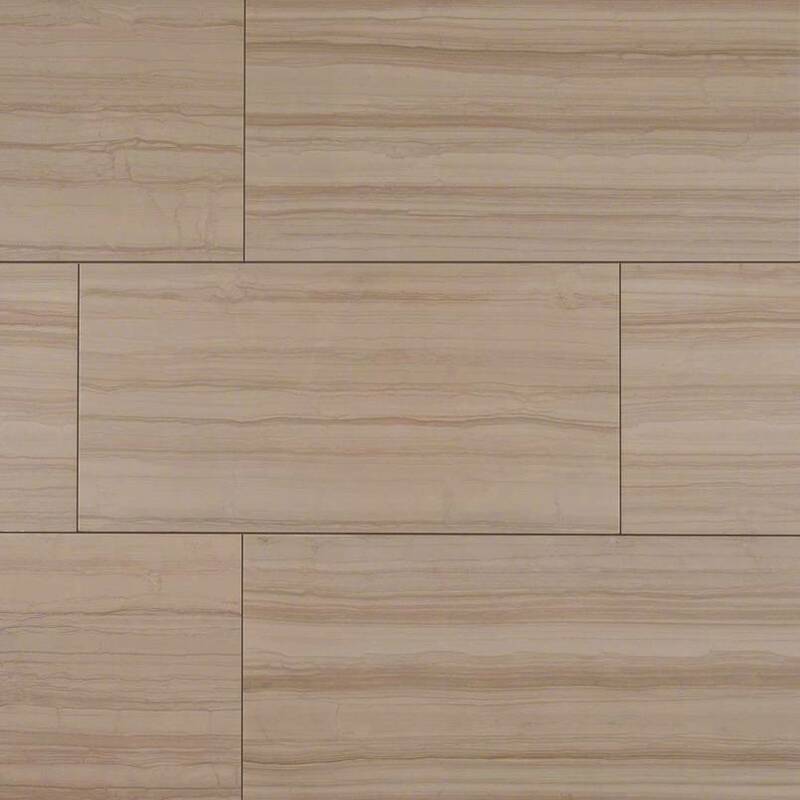 My floor came out beautifully.